Things are moving fast. Riverbed’s acquisition of Aternity, announced July 28th, is now complete. Integration plans are underway, in people, processes, systems, and product. The acquisition extends Riverbed’s SteelCentral performance monitoring capabilities with leading End User Experience Monitoring. 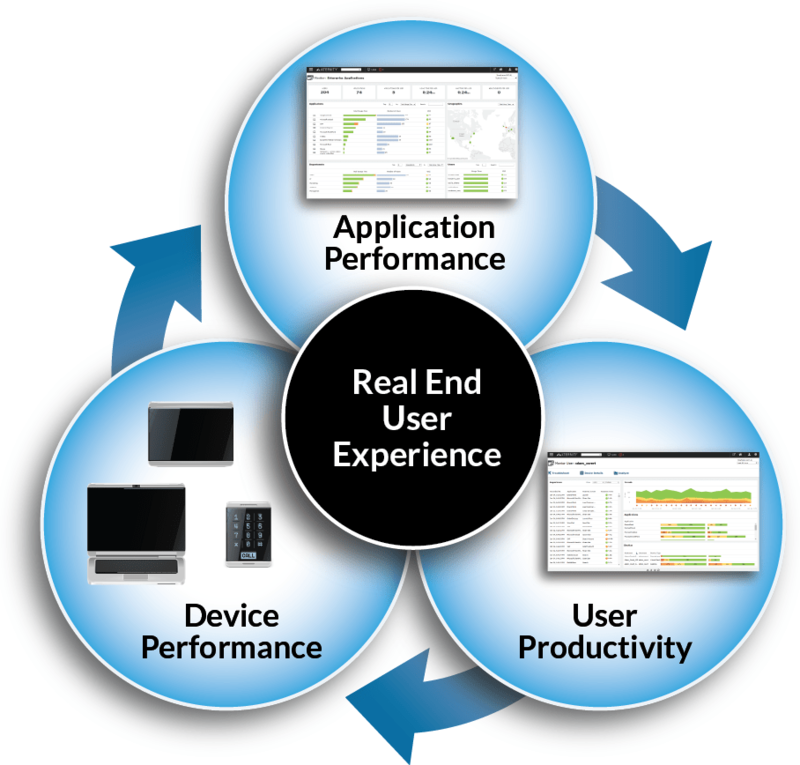 As part of the product portfolio, SteelCentral Aternity extends Riverbed’s application and network performance management capabilities with end user experience monitoring by monitoring IT at the point of consumption, the user’s device. Our product teams are working hard on integration plans, but Riverbed customers don’t need to wait to take advantage of five new moves that SteelCentral Aternity provides. Here’s a brief overview. SteelCentral Aternity brings new Mobile APM capabilities to developers and IT Operations teams charged with ensuring the quality of business critical apps, whether they run on desktops, laptops, or mobile devices. In too many enterprises, IT first learns of a problem affecting end users from the end users themselves. And that’s only if IT is lucky! Many users choose to ‘suffer in silence,’ rather than submit to the process that some Service Desk teams use to validate complaints. The same set of basic questions. ‘Are you sure it’s slow? How long has the problem persisted? What device are you experiencing the problem on?’ And then, to top things off, sometimes the Service Desk’s investigation requires remote control of the employee’s machine, further interfering with their productivity. With SteelCentral Aternity, Service Desk teams can validate user complaints automatically and non-invasively—no need for excessive user interrogation or stopwatch timing. In IT, change is constant, no matter whether you’re in charge of devices, applications, or the network. Whether it’s migrating to Windows 10, moving to Office365, or implementing Riverbed SteelHead or SteelFusion, there’s a constant quest to optimize performance. Level 3 experts can use SteelCentral Aternity to validate the impact of change by measuring end user experience before and after the change. When it comes to making sure applications support the business, you can’t rely only on metrics based on infrastructure availability or network latency. What counts is the end user’s experience of ALL of the applications on which they depend to do their jobs. With SteelCentral Aternity, you can establish SLAs based on business processes as relevant measures of app delivery and service quality. In the coming weeks, we’ll explore each of these five new moves in more detail. We’ll illustrate SteelCentral Aternity’s capabilities with use cases, dashboards, and customer success stories. 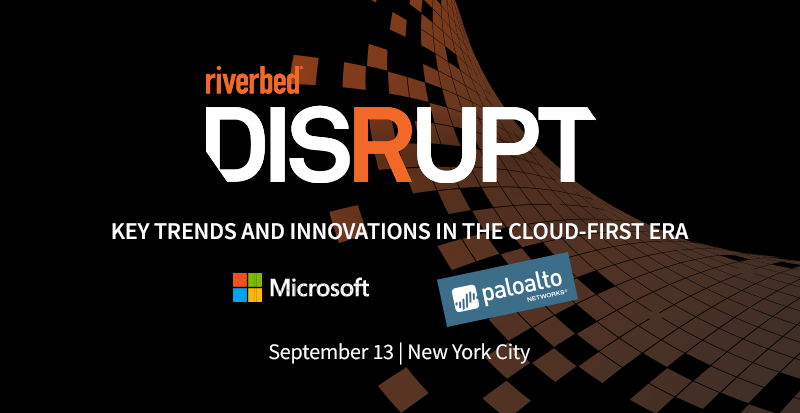 In addition, you can see and hear more about these by attending Riverbed Disrupt in New York City.